At issue in this appeal is the interpretation of the British Nationality Act 1981, s 40(4), which precludes the Secretary of State from making an order depriving an individual of their British citizenship “if she is satisfied that the order would make them stateless”. It is significant that the only specified limit to this broad power is that it may not be exercised where the person concerned would be made stateless. In recent years, the international community, including the UK, has been stepping up efforts to combat the problem of statelessness. A stateless person is generally defined as “someone who is not considered as a national by any State under the operation of its law”. In 2009, UNHCR estimated that there were as many as 12 million stateless people in the world. Statelessness is widely recognised as having serious implications for the individuals concerned. They face inequality, discrimination and innumerable barriers to the exercise of their basic rights, such as the right to work, to access heath care and to seek redress through the courts. In this appeal, the Secretary of State requested that the Supreme Court adopt an interpretation of s 40(4) that permits her to make an order depriving an individual of British citizenship if she considers that the individual would be stateless only because they had failed to make an application for another nationality. Hilal Abdul Razzaq Ali Al-Jedda came to the UK in 1992, having fled the regime of Saddam Hussein. He was recognised as a refugee by the Home Secretary, who subsequently granted him British nationality in 2000. In 2004, he travelled to Iraq, where British forces detained him because they suspected that he was involved with terrorism. On 30 December 2007 he was released without charge. Prior to his release, the Secretary of State made an order under s 40(2) of the 1981 Act depriving him of his British citizenship. He wishes to return to the UK but the effect of losing his British citizenship is that he has no right to do so. Al-Jedda appealed the Home Secretary’s decision to the Special Immigration Appeals Commission on grounds including that the order depriving him of his British nationality made him stateless. When Al-Jedda was granted British nationality, the law in force in Iraq at that time meant he lost his Iraqi nationality. The question was whether or not his Iraqi nationality had been automatically restored in the interim. If it had, then the Secretary of State’s order depriving him of British nationality had not rendered him stateless. The complexity of the legislative landscape in Iraq following its occupation by coalition forces in 2003 made this question very difficult to answer. SIAC came to the conclusion that Al-Jedda’s Iraqi nationality had been automatically restored to him however, on appeal, the Court of Appeal decided to consider the issue for itself. After grappling with the Iraqi legislation, the Court of Appeal found that Al-Jedda’s Iraqi nationality had not automatically been restored to him. At the time that the order depriving him of British citizenship was made, Al-Jedda had no other nationality. Consequently, the order made him stateless in contravention of s 40(4) and was unlawful. The Court of Appeal noted that Al-Jedda had not made any application for his Iraqi nationality to be restored, although he was entitled to do so. “I would reject the Secretary of State’s argument for the straightforward reason that section 40(4) requires the Secretary of State (and, on appeal, the court) to consider the effect of the order made under section 40(2): would the order make the person stateless? If Iraqi nationality was not restored to the appellant automatically under the Iraqi legislation considered above, he was not an Iraqi national at the time of the order: his only nationality at that time was British nationality. The effect of the order would therefore be to make him stateless. That would be the effect of the order irrespective of whether he could previously have acquired another nationality had he chosen to do so, or whether he could do so in the future” (Richards LJ, para. 121 [emphasis in the original], see also paragraphs 122-123). 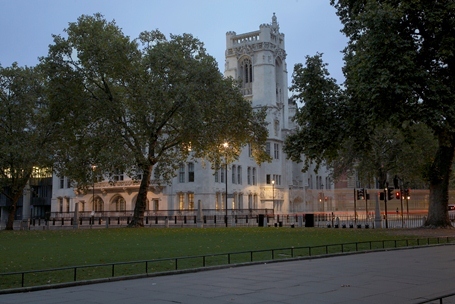 The Secretary of State was granted permission to appeal to the Supreme Court on the issue of whether she is permitted to make an order depriving Al-Jedda of his British citizenship in circumstances where she considers that he would be stateless only because he has failed to make an application for his Iraqi nationality to be restored. 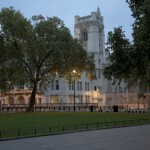 At the hearing before the Supreme Court, counsel for the Secretary of State sought to present her interpretation of s 40(4) as a “very modest proposal” that would not “open any floodgates”. The Open Society Justice Initiative (which intervened in the case before the Supreme Court) argues that a decision in the Secretary of State’s favour would have wide implications. They consider that it would jeopardise a uniform understanding and application of the definition of statelessness, which is crucial to identifying and protecting stateless people. They also note that the Secretary of State’s interpretation of s 40(4) would not be limited to national security cases but would apply to all deprivation cases, i.e. those in which the Secretary of State exercises her broad discretion to deprive an individual of their citizenship on the basis of the “public good”. This is the first case on the issue of deprivation of nationality to reach the Supreme Court. The issue has attracted relatively little media attention since 2010 when Abu Hamza won his appeal to SIAC against the government’s attempts to deprive him of British citizenship. The decision in Al-Jedda will be important in the context of the prevention of statelessness. It may also raise in the public consciousness broader questions about the value of citizenship, the ethics of deprivation, and the extent of the power to deprive. The case was heard on 27 June 2013 by Lord Neuberger, Lady Hale, Lord Mance, Lord Wilson and Lord Carnwath. A Case Comment will follow shortly after judgment is handed down. If you are interested in reading further about the development of the Secretary of State’s power to deprive an individual of their British citizenship, this article is a good place to start: Gibney, Matthew, “Should citizenship be conditional? The Ethics of Denationalisation”, The Journal of Politics, Vol. 75, No. 3, July 2013, Pp. 646–658. The Open Society Justice Initiative will provide a copy of their written submissions upon request. Email jonathan.birchall@opensocietyfoundations.org. Leave a reply on "Case Preview: Al-Jedda v Secretary of State for the Home Department"